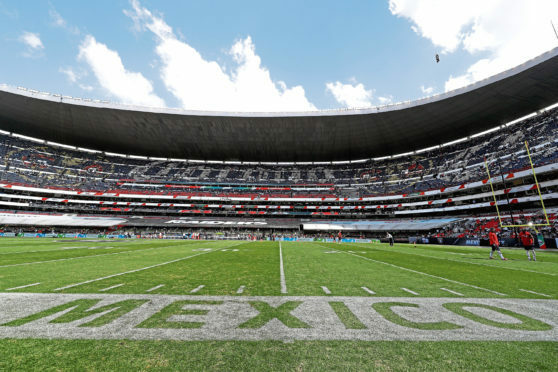 Scotland will travel to Mexico City on June 2 and play the famous 87,000-capacity Azteca Stadium. Boss Alex McLeish named an inexperienced squad for the post-season games where the Scots will act as the final warm-up act for both opponents before they head to the World Cup finals in Russia. The Scots face Peru in front of a sellout 45,000 at the national stadium in Lima on May 29, before moving on to Mexico City on June 2 where the famous 87,000-capacity stadium will be packed to give the hosts a send-off. The Azteca is the first stadium to have hosted two World Cup finals, Brazil’s 4-1 defeat of Italy in 1970 where Pele starred and Argentina’s 3-2 victory against then West Germany in 1986, after Diego Maradona’s ‘Hand of God’ goal had helped the South Americans beat England in the quarter-finals at the same venue. McLean, who capped an excellent season with Aberdeen by helping his side secure a second place finish in the Scottish Premiership for the fourth season in a row, is relishing the prospect of an experience which might only come along once in a player’s career. The 26-year-old said: “You want to be involved in massive games in big stadiums. “To get the chance to represent your country in such an iconic stadium against a team which will have fans right behind them is a huge honour. “There is not much bigger than playing in the Azteca. It will be a great game to be involved in if I get the chance and hopefully I do. “It will be the biggest crowd by far that we have played in front of. “Obviously, Parkhead is the biggest we will get in Scotland, so playing in those kind of arenas is excellent for everyone that will be involved. McLean’s enthusiasm for the trip will be welcomed by McLeish who so far had to deal with the withdrawal of Ryan Fraser, Matt Ritchie, Barry Douglas and Allan McGregor. Kilmarnock’s Stephen O’Donnell and Motherwell’s Chris Cadden have been drafted in but the Scotland boss is already without a host of regulars, including Celtic’s treble-winning players Craig Gordon, Kieran Tierney, Callum McGregor, James Forrest and Leigh Griffiths. Three-times capped McLean, who signed for Norwich in January from Aberdeen and returned to the Pittodrie club for the rest of the season on loan, said: “There are a lot of young boys in the squad. You have Scott Brown recently retired so you have places up for grabs. “The manager seems to be looking to the future with the squad he is putting together. The former St Mirren midfielder returns from Scotland duty on June 4 and commences his Norwich career on June 25. He said: “I can’t wait. The move has been done for a while but I didn’t taken my focus off Aberdeen. “Everything worked out excellently, I left with a good relationship with the club and finishing second topped it off”.